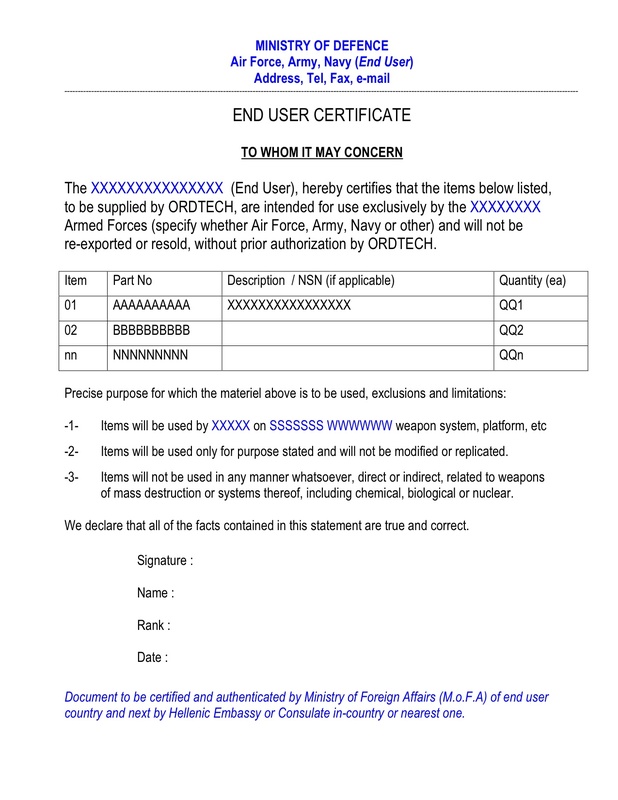 The Template below serves as a basis for an acceptable End User Certificate. Particular attention should be paid by enquiring parties and prospective customers to the following: Not all End Users are acceptable end users: There exist countries which are not recognized by Ordtech or have been identified as hostile or as non legitimate entities. There also exist countries / end users which either pose national threat or threat to Ordtech interests. In all aforementioned cases Ordtech O.M.I will not process enquiries (RfQ / RfP) and will decline to bid.